(Distributed by) Osem USA, Inc. There are all sorts of sweet and savory ice cream flavors now -- including some with crunchy pretzels and/or salted nuts. Today I made my own pistachio nut ice cream sundae, by crumbling some Gratify* Gluten Free Pretzels (milk chocolate covered twists) pistachios and mixed salted nuts into some vanilla ice cream, for my own pistachio sundae. 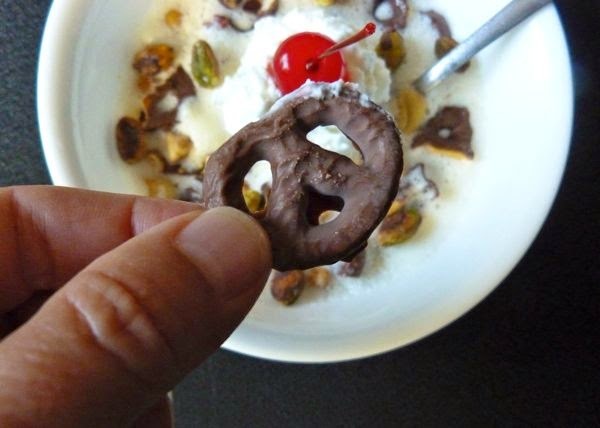 The pretzels in the ice cream stayed crunchy even after sitting in the freezer overnight, and they added a touch of chocolate flavor. 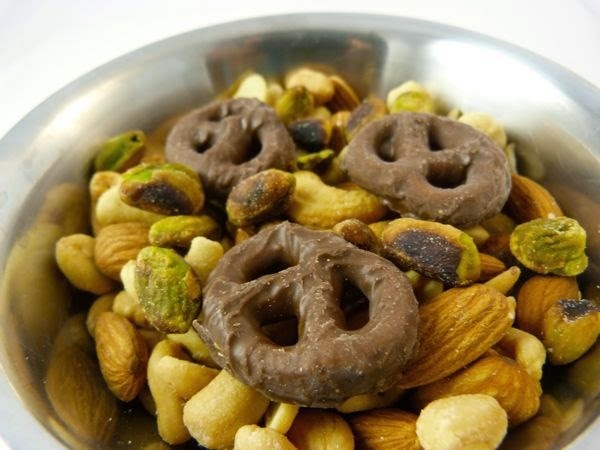 They were good by themselves, and with nuts as well. Today was the last day of Chocolate and Pistachio Theme Week. 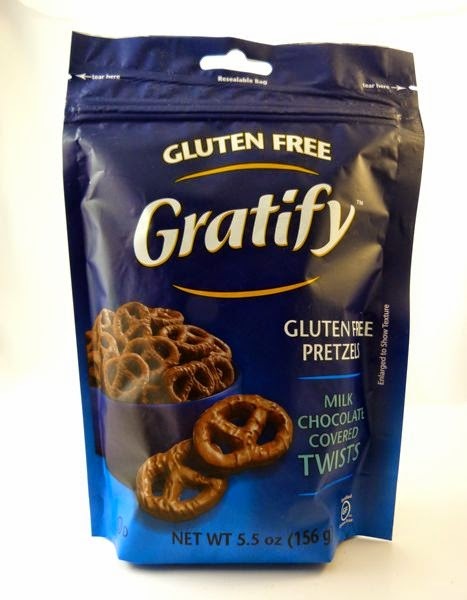 *Gratify pretzels were distributed by Osem USA, Inc. (Englewood Cliffs, NJ).